Falling in love means that we start to exist without a safety net and we no longer want one. It makes us want to wake up earlier just to see him sleeping and kiss him good morning and then stay awake until he sleeps at night just to hold him and gently caress his hair. Is there a right time to start a lasting relationship? Believe it or not, that first encounter can be so meaningful – what we add to the meeting can change both lives forever. Give it your all, see if there is a connection and build on it. If I’m going on holiday, should I invite the man I’ve been seeing? After quite a few dates you may feel that you’re ready to holiday together but you may worry that such concentrated time together might be too much at this early stage. In reality, there is no reason to make this an issue, just do what seems right for both of you. There is an old saying “Some people remain on shore, laughing with delight at those with the courage to swim in the sea”. Should I bring the man I am dating to a family event? 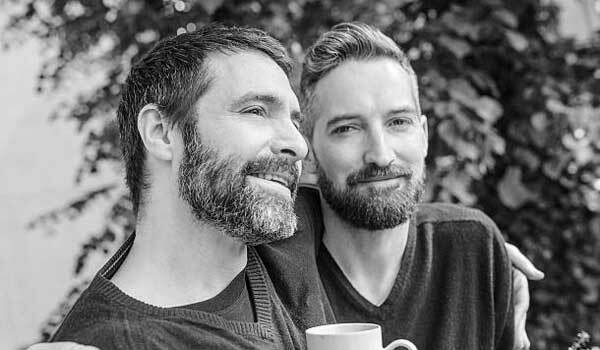 Meeting the family when dating gay men is generally considered to be a big step in a relationship and if you are thinking about this, it usually means that you are serious about each other for a serious relationship. Some families can be intimidating as a group, so make sure your partner is comfortable with this situation – remembering that he has a family too, and they are probably just the same! If he gets on well with your friends, it’s likely that he will also bond with your family.